Filed to: Martin Luther King Jr.Filed to: Martin Luther King Jr. In September 1958, nearly a decade before James Earl Ray fatally shot Martin Luther King, Jr, a woman named Izola Curry tried to kill the civil rights leader with a letter opener. After evading the press for decades, she's now been found—in a nursing home in Queens. Before the attempted murder, a delusional Curry, according to The Smoking Gun, was sure that Dr. King was trying to kill her. She stuffed a gun in her bra and a sharp letter opener into her purse and marched over to one of Dr. King's appearances in New York City. Convinced that King and NAACP leaders were surveilling her and conspiring to deny her employment, the delusional Curry approached the civil rights leader as he sat in a Harlem department store signing copies of his first book. She plunged the letter opener deep into the 29-year-old King's chest after asking him, "Why do you annoy me?" She pierced King's main vein, which caused internal bleeding. King was rushed to Harlem Hospital, where doctors were able to save him. Curry was quickly apprehended by police. 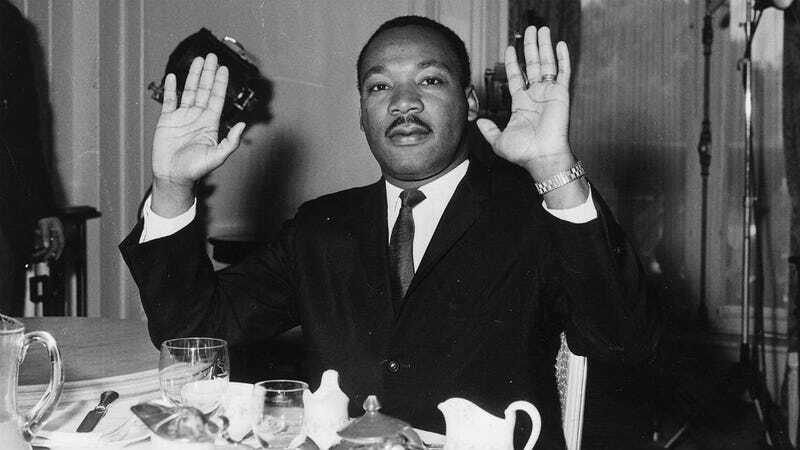 The New York Times reported that had Dr. King even sneezed he could've bled to death. Back in police custody, Curry was so clear in her delusion that King and his supporters were out to get her and had made her lose her job—she didn't know any of them personally—that she was committed to the Matteawan State Hospital for the Criminally Insane in a place called Fishkill, New York. The Smoking Gun had been trying to locate Curry for years and finally tracked her down to a nursing home, living like your average 98-year-old person, watching The Price is Right and taking lots of naps. But back in 1958, Curry almost beat Ray to the punch and changed the course of American history.